Is re-shoring the new green manufacturing buzzword? We’ve heard the cry for years, especially from the hard-hit Midwestern states, that China is taking our manufacturing jobs. And there certainly has been a steady stream of U.S. manufacturers that have taken to off-shoring jobs over the past decade. Whether it’s been machining, assembly, plastic injection molding, castings, or another piece of the supply chain, you’d be hard-pressed to find a company in your area that hasn’t at least tried this cheaper way of doing business. 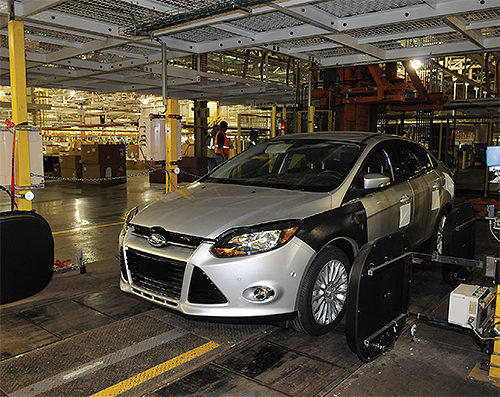 Ford has announced that they will be reshoring nearly 2,000 jobs from Japan, Mexico and India by 2012. Photo of Michigan Assembly Plan courtesy Ford Motor Co.
Because it is cheaper, right? After all, China and many other overseas countries have less expensive labor costs than we do. So what could go wrong? Errors abound in off-shoring manufacturing and production. Tolerances and quality control aren’t always what we’ve come to expect from domestic manufacturers or job shops. Lead times have to be taken into consideration. Companies often find that they have increased inventory needs to take the lead times into account. Shipments may include damaged goods. And the stories about stolen intellectual property are everywhere. But there is an environmental cost, too. When the supply chain stretches clear across the Pacific, shipping becomes a huge portion of the real cost of doing business. As oil prices continue to rise worldwide, that part of the equation may soon begin to eclipse the gains from cheaper labor. It’s also worth questioning what sustainable practices are being used in the off-shoring country—if any are. Could that be a P.R. disaster waiting to happen for your company if the right advocacy group latches onto that information? There’s been a definite uptick in the U.S. manufacturers that are talking about re-shoring. Some companies are already bringing back those manufacturing jobs to the U.S. or North America, to keep shipping costs reasonable. Caterpillar, GE and Ford are among the heavyweights that are bringing jobs back to the U.S. from China and other countries, according to a recent story by USA Today. There’s an added P.R. bonus to bringing jobs back home, to keeping people in the community employed, to maintaining the tax revenues here for local governments and schools. The key is that calculating TOTAL costs—not just labor—sometimes results in very different numbers. Green numbers that companies have to start examining. 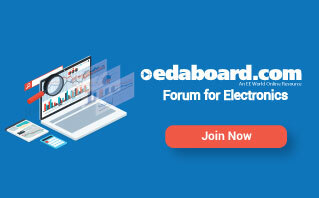 Please join the active discussion that we have started on our popular Engineering Exchange on this topic: http://bit.ly/fTGzgS. I’d love to hear your thoughts on the benefits of or your experiences with off-shoring and re-shoring.